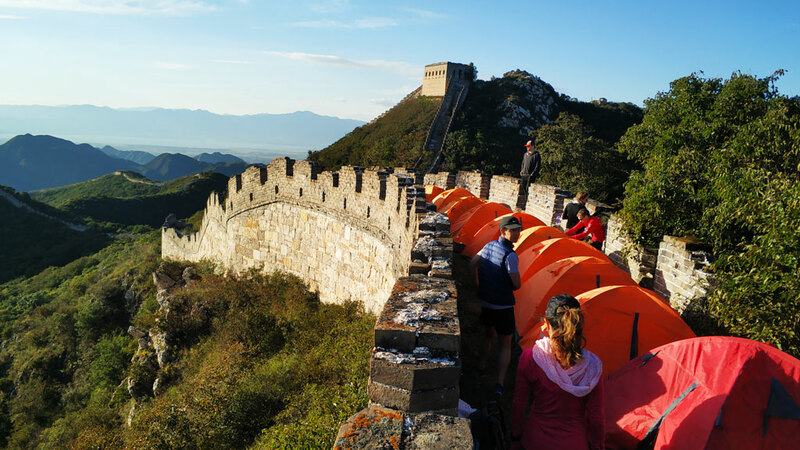 In Brief: Camp overnight in a scenic spot on the Great Wall. You’ll hike easier with just the essentials in your day pack; we’ll arrange delivery of the camping equipment to the campsite. Early evening views from the campsite. 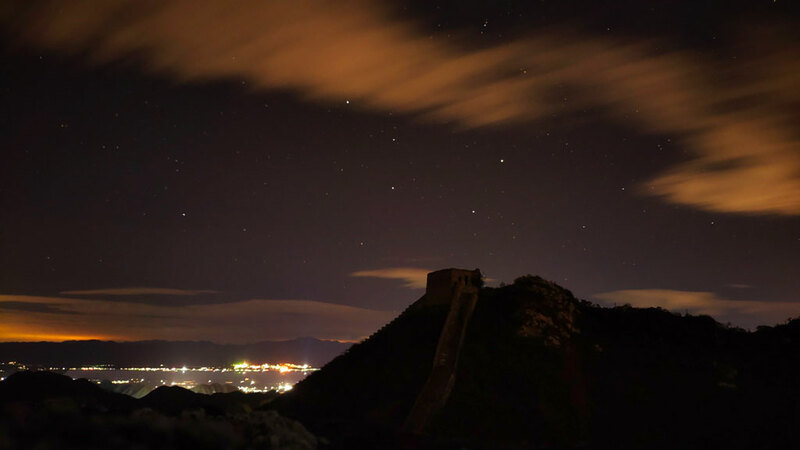 On this Great Wall overnighter you’ll hike a picturesque stretch of the wild Great Wall, and camp at a nice quiet spot on the Great Wall, deep in the hills of Yanqing District. We’ll organise delivery of tents and sleeping bags direct to our campsite; you’ll just need to carry your clothes, water, and food and snacks. Maximum group size of 12 hikers; book early to make sure you get a spot! We'll have a fairly good idea of the weather by about three days before the hike. If it's forecast to be dangerous, we'll look at changing the route to somewhere where the weather is more suitable. If it changes suddenly while we're out there, we can shelter at a guesthouse in the village at the foot of the Great Wall. We're going to take it slow and easy on this hike: the hike to the campsite is fairly short, but there are some steep sections to climb up and down. Plus, there are a lot of places where you'll want to stop to enjoy the views. If you'd like to do some extra hiking on the first day, it's possible to hike a bit further along the wall after we've set up camp. On the second day, we'll see how keen you are to explore! There's a steep section of wall nearby, and we'll see how you feel about climbing up to the highest point for even better views. Our campsite is a nice flat area on a line of rough and unrestored Great Wall, with superb views of mountains to the front and the back, and climbing up a little further along the wall will open up views of more mountains and the line of Great Wall that runs right through the middle. The towers in this area are not so suitable for camping in due to their deteriorated condition or distance from the access points, but you will certainly be able to explore plenty of them while hiking, and the campsite will be a great place to watch the sunset. The sun will set at around 6:57pm, and from the campsite we’ll be able to watch as the sun slowly sinks below below the mountains. The sun will rise in the hills behind our campsite at around about 5:29am. Lunch, day one: We'll supply a sandwich as well as a banana and a Snickers bar. You might like to supplement this with extra snacks. Dinner: We'll supply basic camp food: things like bread and rolls, ham and salami, pickles and cheese, and some cup noodles and soups. We’ll bring gas burners to boil water for hot drinks. We'll also bring a bottle of red wine! Dinner will be tasty but fairly basic, and we’re not able to have open fires. Breakfast: We’ll bring bread and jam and fruit, tea and coffee. Snacks: We’ll supply an apple, and nuts and things to make trail mix. Water: We’ll provide 4 litres of bottled water per person, plus an electrolyte drink. After breakfast on the second day we'll break camp and hike a little further on the wall. We'll then follow a hill trail down to the nearest village to have a light meal at our local guide's place. We expect to be back in Beijing around mid-afternoon. We supply: one tent for each person, sleeping bag and liner, ground pad, hiking poles. Hiking pack to carry your food, water, and clothes. Standard hiking gear and boots, and a waterproof jacket just in case. Warm clothes for the evening, spare socks and underwear. Toilet paper and hand sanitizer. Personal medicine and basic first aid supplies. Entertainment: a book, cards, a bottle of something. Extra food and snacks i.e. chocolate. Plastic bags to carry away any tissues, bottles, or food wrappings. Essentials (water, snacks, food, extra clothes, things you can’t do without) in your hiking pack. Level 3 hikes are the type we do most often. Level 3 hikes will take around 3 hours, and can be either reasonably easy, or challenging, depending on how often you exercise. Strong winds meant the day- and night-time skies were super clear on this camping trip—see 23 amazing photos, including a beautiful sunset. A set of 30 photos from the a camping trip at the Switchback Great Wall—beautiful weather, and an amazing sunset! See a set of 23 photos from a sunny-then-rainy-then-sunny-again camping trip at the Switchback Great Wall. 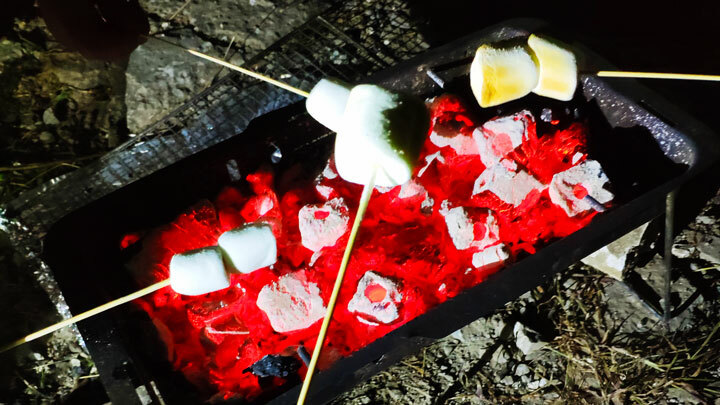 We had perfect weather for this two-day camping trip on the Great Wall—see 26 photos from the campsite and Great Wall. See 18 photos from an early summer camping trip on the Switchback Great Wall. Take a look at 20+ photos from a camping trip on the Great Wall in Yanqing County, Beijing. 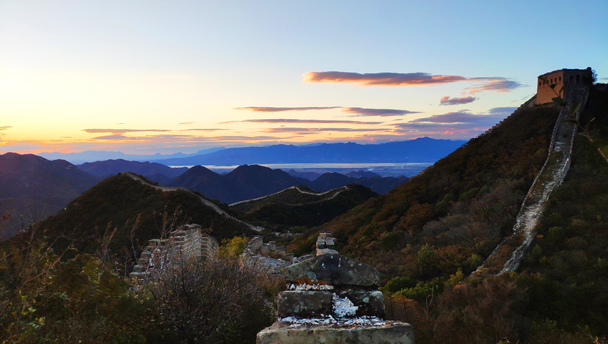 See 23 photos from two days up on the Great Wall, including an awesome sunrise shot. Photos from our first Great Wall camping trip of 2016. Photos from a camping trip on a section of the Great Wall we call the Switchback Great Wall. We drove out into Yanqing District to visit an unrestored section of Great Wall that we call the Switchback. We got good photos on a nice clear day – click through to take a look! 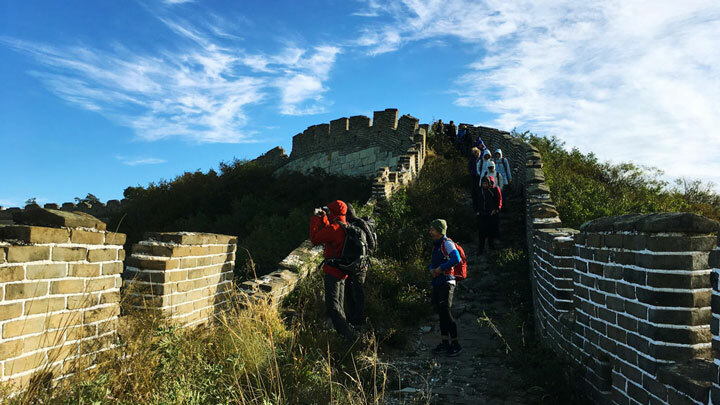 This hike follows a section of the Great Wall as it straddles the border in Yangqing county northwest of Beijing. After climbing up from a valley, we hiked along the Wall, finally reaching a fantastic lookout point on the General’s Tower. The views from there were great that day even in spite of the hazy skies. Click through for photos and more!